Oh, how I love the nubby texture of a devoted Tibetan Buddhist singing about angels, heaven, baptism, being born again, and the River Jordan. In my experience, Christians require frequent reminders that our symbols, icons, customs, and language are part of a stream of Universal human longing: for clarity as well as mystery, for certainty as well as ambiguity, for answers as well as questions, etc. I have always been awestruck by k.d. 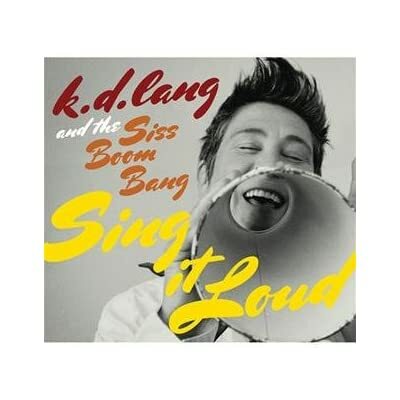 lang’s voice. Even as she threw herself wildly around the concert stage in her younger days, she always had a vocal control that was stunning. The acrobatics have given way to a profound vocal maturity. I really think she could sing in any style she wanted to. As a former swimmer, and someone whose baptism was of the full-immersion variety (complete with water up my nose), the last line of the chorus of this psong is a goosebumper.